It goes without saying that Jaipur is a captivating city with a multitude of attractions ruling its landscape. From opulent palaces and forts to majestic temples and bustling bazaars, it’s a spellbinding mix of sights and scenes out there. But if you have just 2 days to experience the grandiose of Jaipur, how do you fit in your itinerary all the magic and mystery that this city has in store for you? Fret not, for we have you covered. Just book your stay at one of the best hotels in Jaipur and get ready to embark on a glorious tour to experience the city and its resplendent glory. 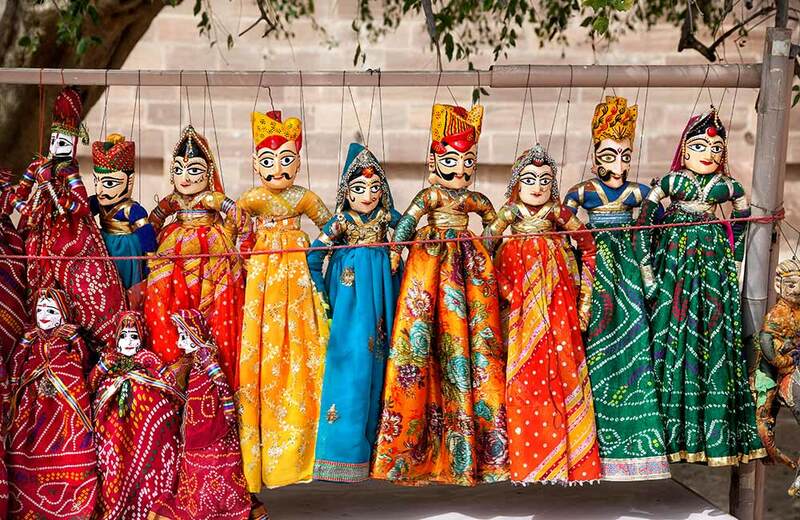 Here’s our curated list of the places to visit in Jaipur in 2 days. 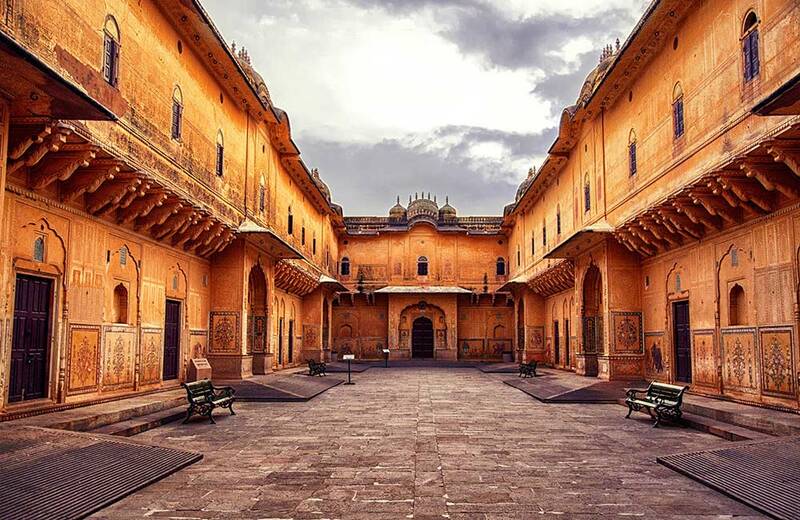 While historical splendor is the mainstay of Jaipur’s tourism, the city entices you with a lot more, like religious destinations, architectural marvels, and even an age-old astronomical observatory. We have incorporated a bit of all that in your first-day itinerary of places to visit in Jaipur on a two-day trip. All these places are located within the city, so you can easily cover and spend ample time at each of them. The impressive City Palace stands right in the heart of Jaipur and takes you back to an era of royal grandeur and magnificence. The palace boasts of a striking fusion of Rajput and Mughal styles of architecture, making it one of the must-visit places in Jaipur. Once you step inside, you will be transported to a different world, replete with sprawling halls, courtyards, gardens, royal residences, art galleries, and more. There’s even a museum that offers a glimpse into the lifestyle of the royalty. You can see the royal garments once worn by Maharaja Sawai Man Singh II and Maharaja Sawai Madho Singh I preserved at the museum. 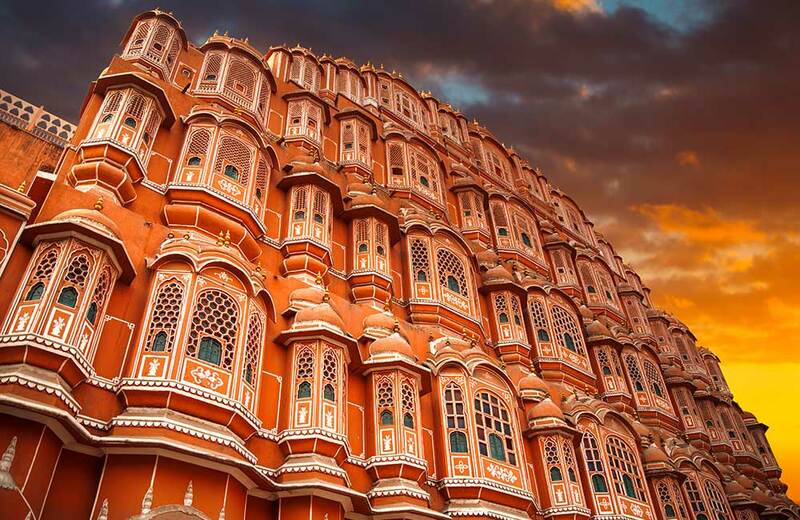 Think of the Pink City, the image of Hawa Mahal instantly comes to your mind, doesn’t it? It is indeed an iconic landmark in the city built by Maharaja Sawai Pratap Singh in 1799. One of the unique features of this five-storied structure is that it is adorned with no less than 953 small windows. The lattice of windows in this pyramidal structure enables breeze to blow into the inner chambers. As such, the interiors of the Hawa Mahal have a cooling effect even while it is sweltering hot outside. 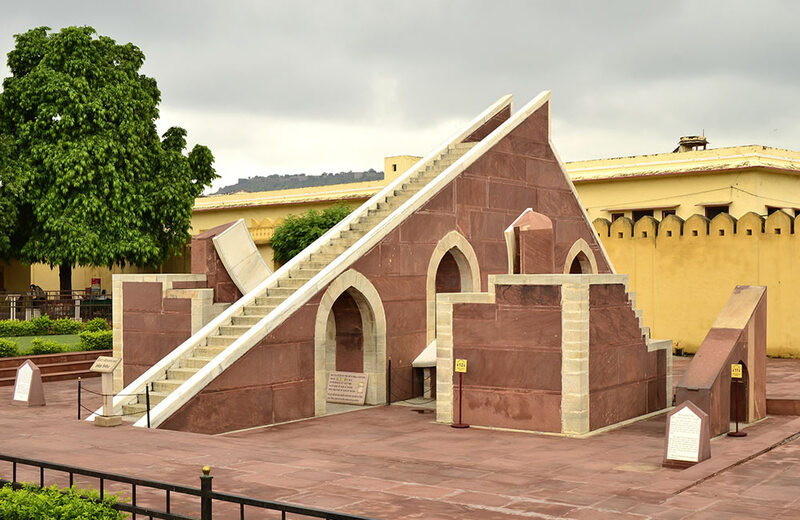 You can enjoy spectacular views of the Jantar Mantar and the City Palace from the top of the Hawa Mahal. Have you ever wondered how people in the bygone eras used to measure time or keep track of the movements of heavenly bodies or even predict eclipses? Jantar Mantar holds answers to all these questions. It is an astronomical observatory that traces its origin to 1734. Built by Maharaja Sawai Jai Singh II, this observatory houses nineteen architectural astronomical instruments. The most famous among them is the stone sundial, which is the largest one of its kind in the world. A haven for astronomy enthusiasts, this place is a UNESCO World Heritage Site and definitely deserves to be on your list of tourist attractions to visit in Jaipur in 2 days. Albert Hall Museum is not just the oldest museum of Rajasthan; it is a fascinating place that opens up a corridor into Jaipur’s rich history and heritage. The hall that houses the museum is an impressive structure in itself. Functioning as the State Museum of Rajasthan, the place showcases an interesting collection of artifacts, including sculptures, paintings, crystal works, ivory items, carpets, metal items, and jewelry. One of the highlight exhibits of this museum is an Egyptian mummy, which is one of the few mummies kept in India. Birla Mandir in Jaipur is the perfect blend of magnificence and tranquility. The temple is dedicated to Goddess Lakshmi and Lord Vishnu, so it is also called the Laxmi Narayan Temple. Located against the lush green backdrop of Moti Dungri Hill, the dazzling white marble structure paints a picture of breath-taking beauty. The temple architecture itself is a sight to relish. 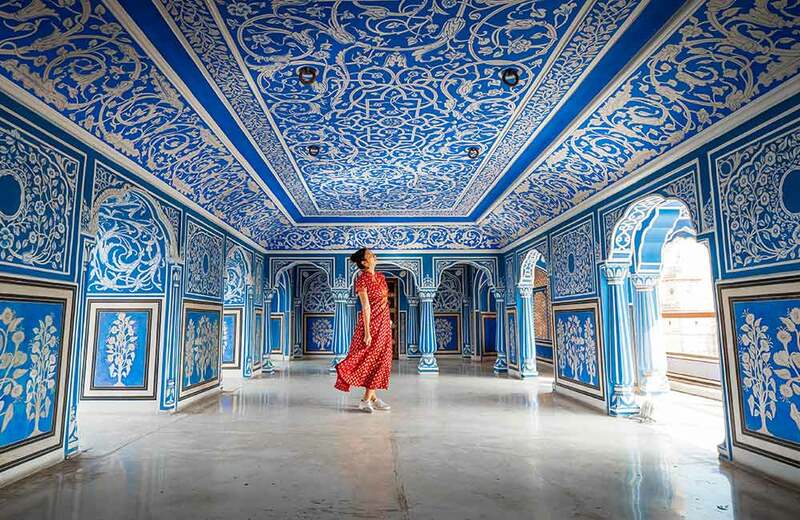 Counted among the grandest temples in Jaipur, it has a number of scenes and quotes from the Bhagavad Gita on its walls. 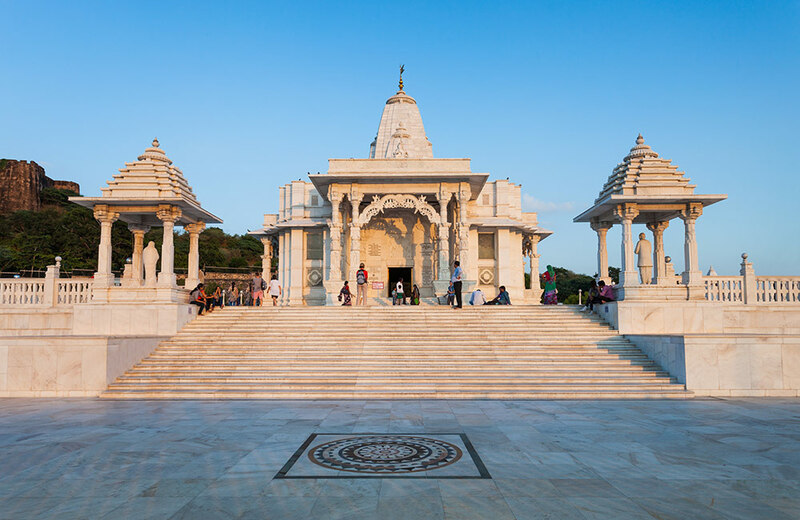 When illuminated in the evening, this white marble temple adopts a surreal look under the blanket of the night sky. A sight-seeing trip of Jaipur can’t be deemed complete without a visit to the spectacular Amer Fort and Palace. 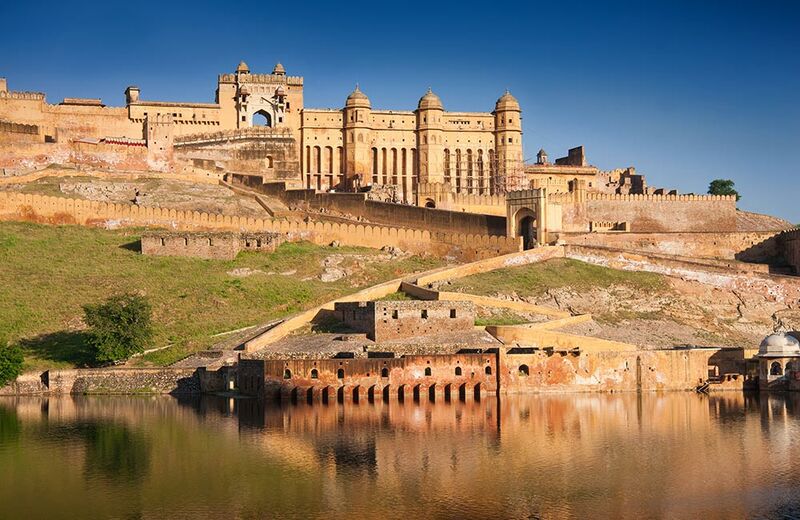 The most opulent among all the forts in Jaipur, Amer Fort embodies architectural brilliance and royal splendor. The lavish palace inside the fort is laid on four levels. Among the major attractions of the fort is the Sheesh Mahal or the Palace of Mirrors. This spectacular building is ornamented with a mosaic of sparkling mirrors and glass inlaid all along the walls and the ceiling as well. You can also go for an elephant ride inside the fort or shop for some souvenirs. Nestled atop the Cheel ka Teela or the Hill of Eagles, Jaigarh Fort is one of the most fascinating places to visit in Jaipur. The majestic fort boasts of lavish palaces with courtrooms, triple arch gateways, temples, gardens, armory chamber, and a central watch tower that offers brilliant views of the surrounding landscape. The main attraction of this fort is the Jaivana cannon. It was once the largest cannon on wheels in the whole world. Even today, it stands with pride inside the Jaigarh Fort. Nahargarh Fort has been standing guard over the city of Jaipur for almost three hundred years now. It was once a part of Jaipur’s incredible defense ring, along with the Jaigarh Fort and the Amer Fort. 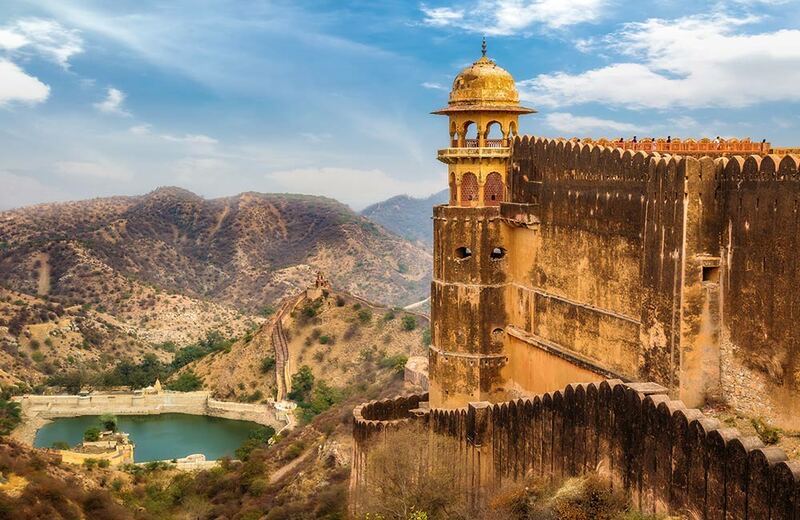 The royal family of Jaipur used this fort as a hunting retreat. The fortification walls of Nahargarh fort extended those of the Jaigarh Fort, thus connecting the two forts. A visit to Nahargarh will also allow you to enjoy wonderful views of Jaipur city. 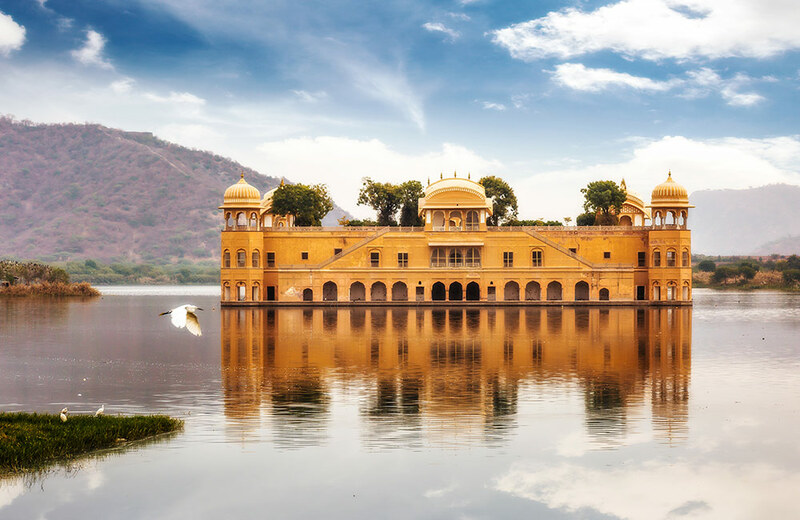 A grand five-storied palace situated in the middle of the Man Sagar Lake, Jal Mahal is another gem in the city of Jaipur. But four of these stories remain under the water when the lake is full. You can see only the top story above the water, which gives the impression that the palace floating on the lake. 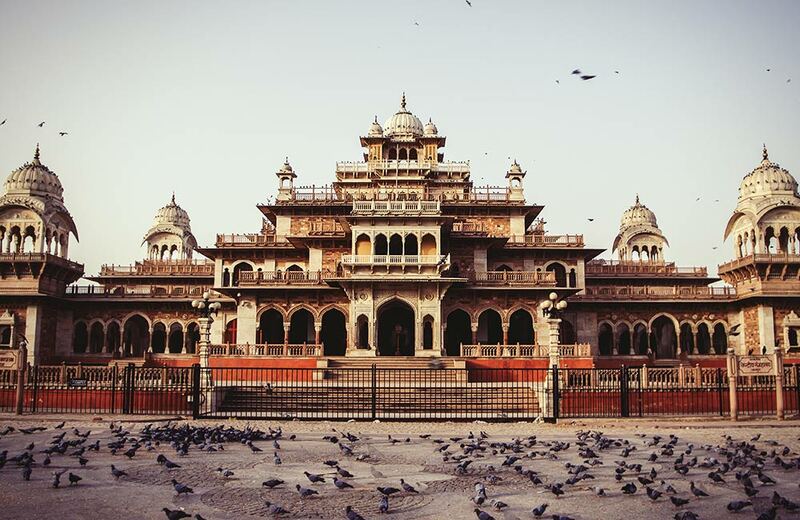 The palace exhibits the Rajput style of architecture. It was once a duck-hunting retreat for the king of Jaipur. At present, entry to the Jal Mahal is restricted for the visitors. But you can enjoy its beauty by taking a leisurely boat ride in the Man Sagar Lake and getting a close view of the palace. When you are in Jaipur, it’s a crime to leave the city without indulging in some soulful shopping. Bapu Bazar is one of the most lively and vibrant places for shopping in Jaipur. This bustling marketplace is where you can get a variety of traditional Rajasthani items and artifacts that you can carry back home. Local handicrafts, brass works, textiles, leheria stoles, lac jewelry, block printed bedspreads, sandalwood figurines, you name it and you will get it all here. It’s true that Jaipur is a treasure trove of tourist-worthy attractions. Exploring the city on a two-day trip will allow you to enjoy many of these attractions. You can even check out our blog on the places to visit in Jaipur at night to make the most of your time in the city. So, go ahead and paint the Pink City red and have fun all along the way.